Whether you are Irish or simply Irish at heart, every year on March 17th people across the world celebrate St. Patrick’s Day. The holiday originated as far back as the early seventeenth century as a day of commemoration for Saint Patrick, the most commonly recognized patron saint of Ireland, and the arrival of Christianity in Ireland. It’s also a day set aside for celebrating Irish culture and heritage in general in countries around the globe. You’ll want to keep the clutter at your home to a minimum. Self-storage is a great option for storing all those items around the house that don’t really need to out in plain sight, cluttering up the rooms. Sometimes unwanted guests show up at a party, and it might be wise to store your most valuable possessions. We can accommodate your short-term storage needs to make sure that the items you treasure are kept safe and secure during your St. Patrick's Day party. Store your party food and drinks so that they do not hoard the space within your home. You can solve this storage problem by keeping your snacks and drinks in a self-storage unit instead of your kitchen. Since our McCann Mini Storage comes in a variety of sizes, you can select how small or how big your storage units will be. Our facility has more than 400 self-storage units ranging in size from 5x6 to 20x20. You can even store your unopened goods in our storage units for the long-term so that you are always ready for your next party. Once the dust has settled, it's time to clean up your place and store all of your leprechaun and shamrock decorations until next year's party. But instead of placing them in your cabinet or disposing of them, why not place them in one of our storage units? Hazelwood Allied has five warehouses in the Santa Barbara area, and each location is clean, organized, and secure. With vault storage, your items are thoroughly inventoried and blanket-wrapped for protection. If your party decorations are not enough to fill a storage unit, you may use the empty space for storing your other holiday decorations and even other stuff that you seldom use at home. This will give you extra space in your cabinets and keep your home clutter-free all-year round. 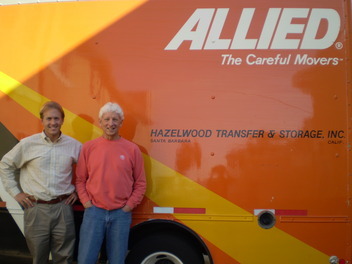 As a storage and moving company in Santa Barbara, Hazelwood Allied can also help you transport your items from your home to your self-storage unit and vice versa. Our Santa Barbara movers will evaluate your moving needs and create an individual plan to make your move more blissful and less stressful. 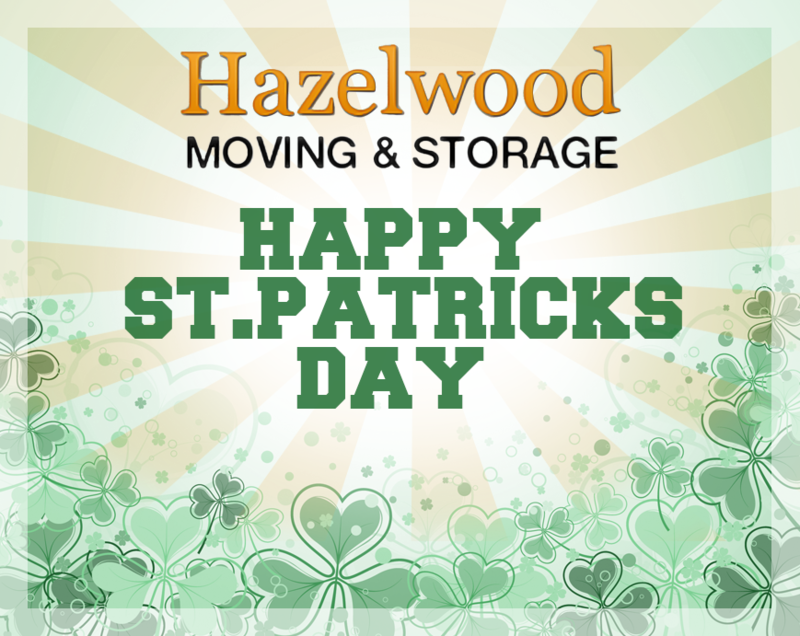 Contact us for any questions that you may have regarding our storage, packing, and moving services this St. Paddy's Day. When you rely on our professional Santa Barbara movers, you won’t have to worry about a thing. We’re a fully bonded and licensed moving company, and we'll keep you and your partner happy and secure during your move. We do all the heavy lifting, reducing the possibility of a back injury! Have a wonderful and clutter-free St. Patrick's Day! Traditional Irish Music at Dargan's: Come to Dargan’s Irish Pub on Thursday, March 17th for Traditional Irish Music by Dannsair from 6:00pm to 8:00pm. Dargan’s is located at 18 East Ortega Street in Santa Barbara. For more information see their website or call (805) 568-0702. The Emerald Ball Fundraiser: Get out your green and celebrate St. Patrick’s Day at the Summer Solstice Celebration’s annual fundraiser party featuring live music and special performances. The Ball is being held at Warren B's Event Center, 731 De La Guerra Plaza in Santa Barbara, on Saturday March 19th from 7:00pm to midnight. Tickets are $20 in advance or $30 at the door. This event is 21+ only. Tickets can be purchased in Santa Barbara at Bizerk or Victorian Vogue, or online at: http://bit.ly/1OCR9ek. Blush Dinner Downtown: Downtown Santa Barbara restaurant and lounge, Blush, will be holding a delectable dinner this Thursday, March 17th. Blush’s dazzling outdoor patio is open to both children and adults, making it an ideal location to celebrate, Irish style! Blush will be serving up a delicious Corned Beef and Cabbage dinner with $5 Jameson, Fernet and Beer. The regular dinner menu will also be available. Happy St. Patrick's Day from the McCann family to yours!